The 1975 are once again showing off their upcoming album A Brief Inquiry into Online Relationships with a new song. This time, it's an all-caps track called "TOOTIMETOOTIMETOOTIME." The latest from the group comes in the wake of "Love It If We Made It" and "Give Yourself a Try." But you can now hear the band's latest down below. The 1975 last released a full-length back in 2016 with I like it when you sleep, for you are so beautiful yet so unaware of it. So far, A Brief Inquiry into Online Relationships is without a firm release date, but it is expected out this fall. 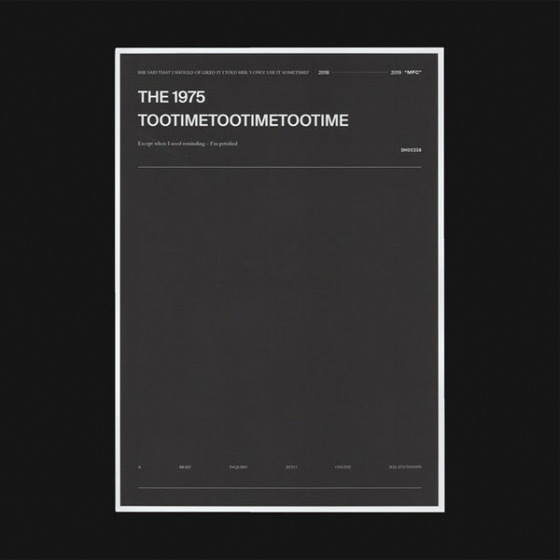 For now, listen to "TOOTIMETOOTIMETOOTIME."